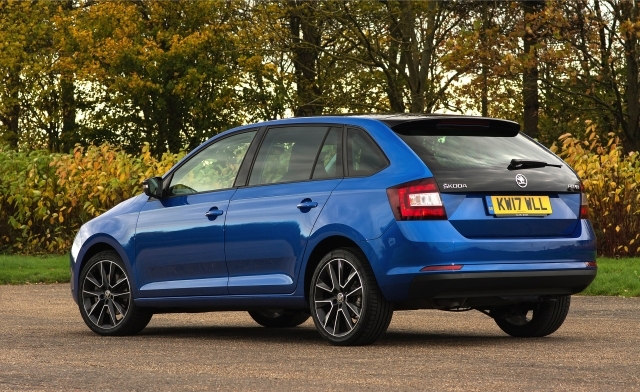 Space is a confusing place, and it’s not been helped by the Skoda Rapid Spaceback landing in showrooms. 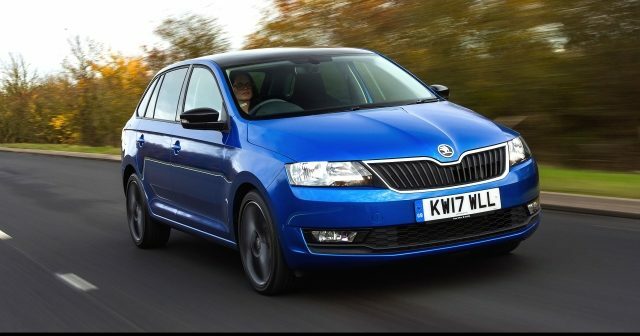 The Rapid hatchback neatly filled a gap in the Skoda range between the Fabia and Octavia but then the Czech car maker added Spaceback, which not an estate but a hatchback as well. 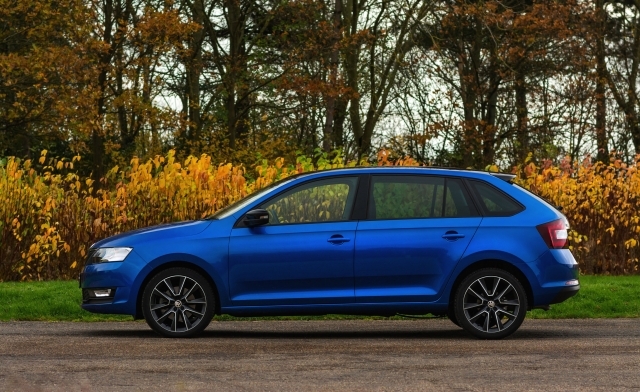 From the outset it has to be explained that the Rapid hatchback has a roomier boot but the Spaceback gains additional rear sear headroom with its ‘stretched’ roofline. The suffix is perhaps surprising and possibly misleading but makes sense when you think of it purely in passengers getting more space than luggage. And that won favour with our family who regularly fill back seats but rarely need to transport larger objects than a week’s shopping. It was definitely a win-win week with the Spaceback SE Sport 110ps. This is the stronger version of the new three-pot power plant with its lower emissions and greater economy and we were delighted to see fuel figures approaching the new testing regime’s combined figure. The mid-range SE Sport is also ordered by 70% of buyers. 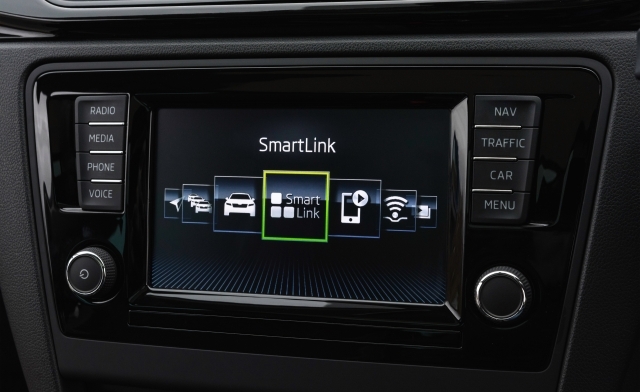 The test car came with a selection of options including metallic paint, automatic lights and wipers, SmartLink connectivity, space-saver spare wheel, textile mats and hill-hold control which added £1,245 to the on-road price. The range was updated last year and has new front and rear end lights and styling changes with the cleaner and more economical 1.0 litre engine replacing the original 1.2 litre unit. Now it runs to 14 models in the Spaceback series utilising 95 or 110 ps 1.0 petrol and 90 or 115 1.4 and 1.6 diesel units, in S, SE Sport or SE Tech editions and with manual or DSG automatic transmissions. The little engine is a gem. It has instant start up and freely revs, is coupled to a manual gearbox with carefully chosen ratios so it can be surprisingly flexible at times and pulls reasonably strongly too, although its overall performance is modest. It is in the area of fuel efficiency that you have to admire the powertrain, stretching our overall figure to 57mpg but on some trips we actually edged over 60mpg. Ok, if you rev like mad and press on through the gears the consumption slips to 40mpg or less, but the noise this also generates from the engine is intrusive and annoying. The willingness of the engine is matched by the light clutch and direct gearchange so its almost effortless in urban situations and sufficiently long legged to make country runs a pleasant experience too. I would have preferred greater feel through the steering and footbrake although it turned tightly and easily when parking and that parking brake securely held it on our regular test slope. Secondary controls were mostly grouped on or close to the steering wheel and worked well, with the large gauges infront of the driver clearly displaying speed and the usual levels and temperature. You also have a central selectable display for additional functions and this is very clear and easily navigated. Heating and ventilation is also straightforward, it was powerful, well directed and its range was comfortable. A comparatively small central screen in the middle of the dash contained the infotainment centre and relied on the occupant’s mobile phone to work, which is not ideal but means the system is more affordable for mass fitting and is constantly updated. The clarity of the display was good but sometimes the mapping was not as clear as it could have been. 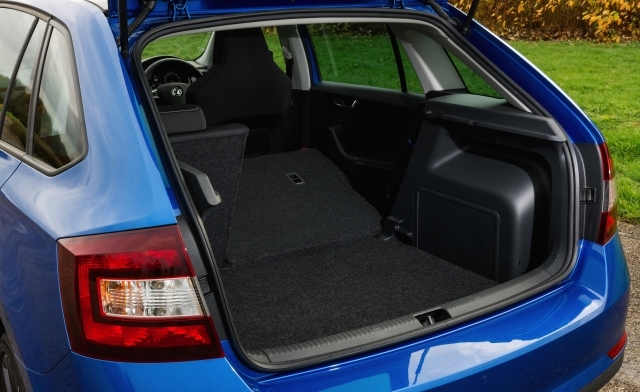 For a family car, the Skoda Rapid Spaceback had plenty of oddments’ room with big door bins, a range of central trays and recesses and some big pockets on the backs of the front seats. The bootspace was good, with a low lip over which to lift items, some side bins, hooks and a net, and a generally flat and regularly shaped compartment which tripled as the offset split seats were folded. Some might struggle to lift the fifth door but access was good for everyone. Once inside the head and legroom was generous, even for those in the back, and although the cushions were flat the seats overall shape was good and comfortable, particularly for those in the front pair which had a very good adjustment range as well. Ride quality was generally firm, occasionally bouncy, but not really uncomfortable, and it had no vices in handling although its natural tendency was to run wide on corners which was instantly corrected by easing off steering or throttle, sometimes both, and the Spaceback settled down again. The noises we have mentioned before and they detracted from the refinement a bit but more disappointing to my eyes was the abundance of hard, featureless plastic trim. There is little to highlight in the fascia design and you feel this is a car which says what you see is what you get. That means it’s an honest workhorse for a family, will not cost the earth to buy or run and can do what is expected in a reliable way. It is not a modern sports tourer or cross-over model but it’s carving out its own space in the market. Against: Some road, suspension and engine noises; abundance of hard plastic interior trim, modest acceleration, less luggage room than Rapid hatchback.